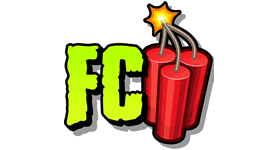 Over 300,000 downloads on Curseforge. 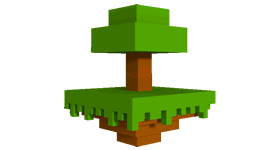 Welcome to the SkyExchange server, a very unique skyblock modpack perfect for Minecraft servers. 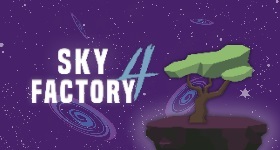 Using the power of alchemical exchange, you can stockpile and create blocks and items as required and accomplish the goals of a SkyBlock experience in style. Perhaps you’ll share the alchemical secrets with your friends and build a sprawling Skyblock base or perhaps you’ll hoard them and let the others figure it out on their own. Questing helps to get you through your first few days and then, the sky’s the limit. 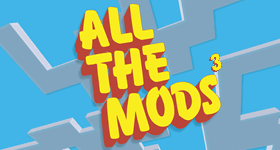 Quests to help you get to grips with the mods in the pack. An alchemical system to exchange items for others that may be more useful. 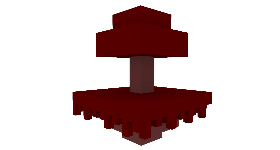 All the hallmarks of a classic skyblock with an interesting twist. 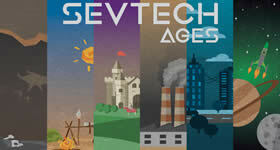 Why play SkyExchange on a server? 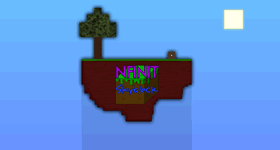 If you are looking for a unique skyblock to share with your friends, SkyExchange is the perfect opportunity. 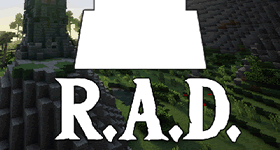 Every player will retain their own Projecte tablet and knowledge meaning you can work together or apart as much as you like to create the ultimate skyblock kingdom. Start a free trial of SkyExchange right now for 24 hours. Order today and master the SkyExchange. If you are having problems with SkyExchange contact support. 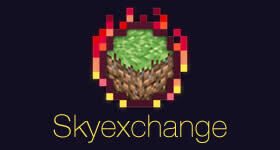 Click to find out more about SkyExchange minecraft server modpack.